Classy and elegant; Alyce Paris style 60565 is perfect for a formal occasion. 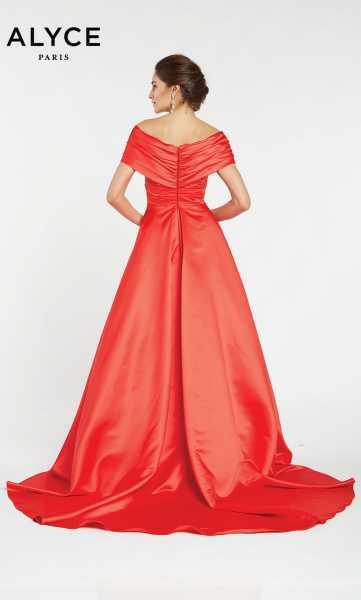 This dress features a v-shaped neckline and rouched off the shoulder short sleeves. The skirt is a free flowing satin material making it easy to move and dance the night away!